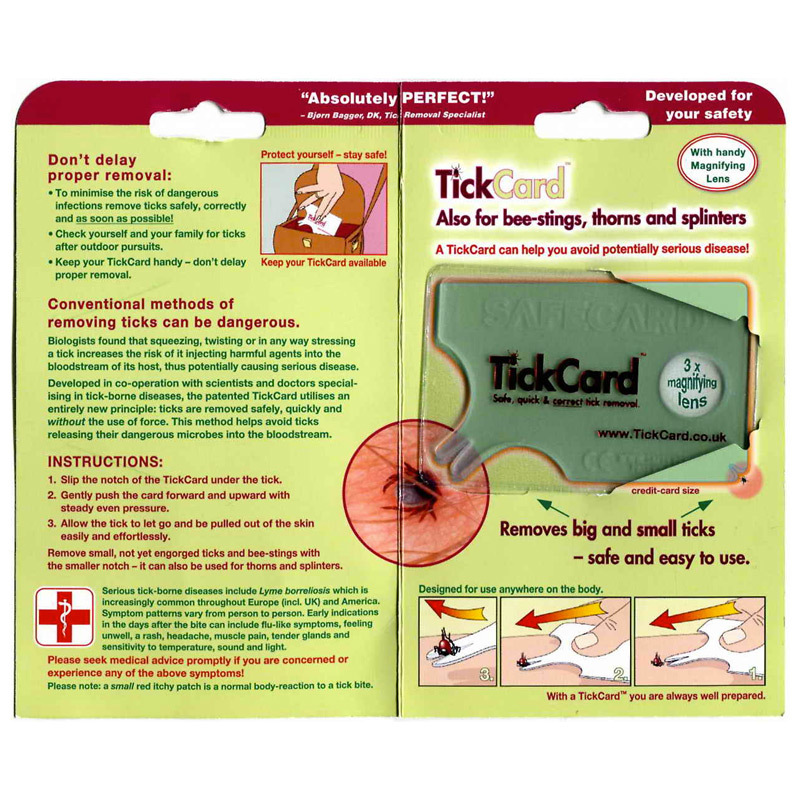 This superbly engineered card is perfect for removing ticks quickly and easily. 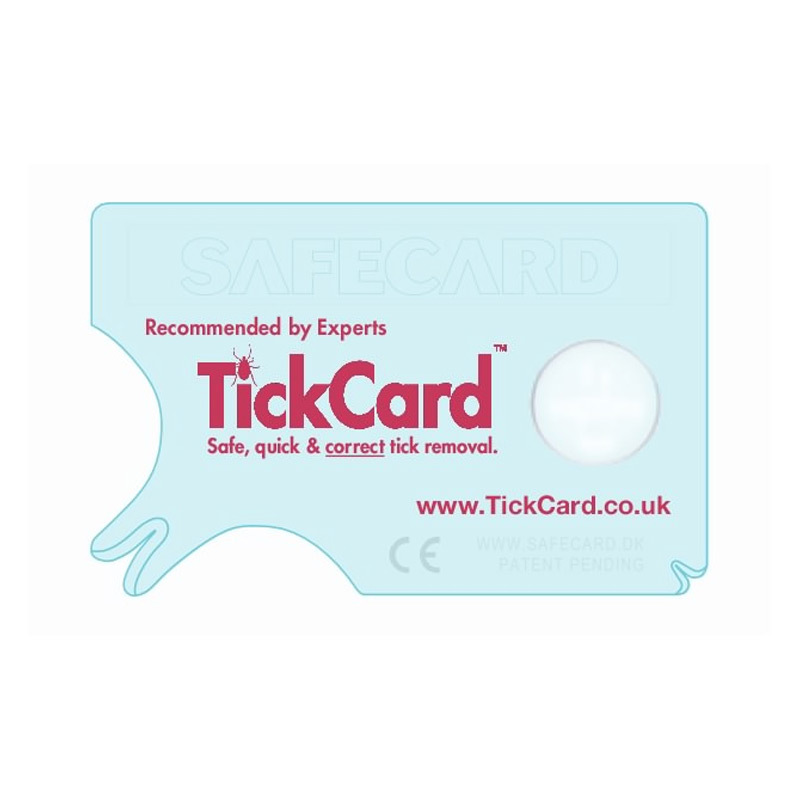 The card has two different size notches to fit all sizes of ticks and also comes with a handy 3 times magnifier to help inspect the tick. It is also extremely practical being only credit card sized it can be effortlessly carried around in a wallet or purse ensuring it is always to hand when you need it. Safe and correct removal of tick is of paramount important .If the tick is stressed or left too long before removal this will greatly increase you changes of contracting and infection or more importantly Lymes disease. 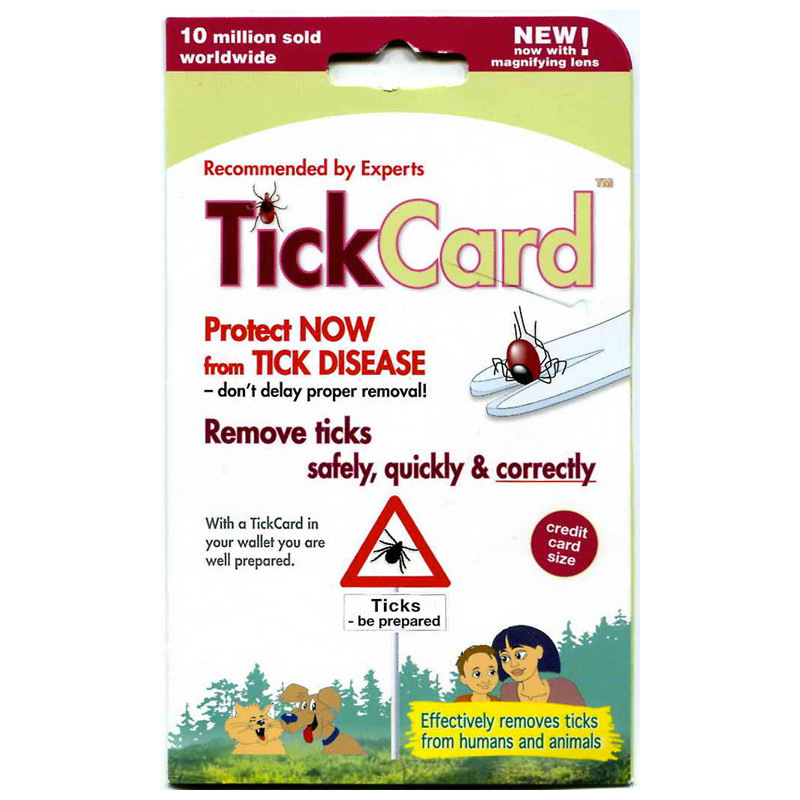 This card comes with a helpful booklet which explains the correct removal of a tick.